Upon arrival your charismatic host welcomes you to this Drink Workshop at the bar, which is beautifully set up with premium tools and quality ingredients. 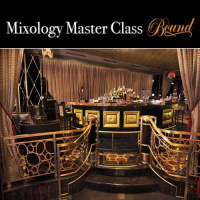 This uniqely interesting session provides guests with the skills to create speakeasy-like cocktails. You will be shown how to properly use different tools to expertly craft these unique beverages. We're sure to touch on glassware, ice, ingredients and flavors – every component of the drink serves a purpose. In fact, every step of the assembly greatly impacts the final result. This Drink Workshop functions as your personal inspiration zone, and is equipped with all you need to whisk up some wild creations. After tasting each of these four crafted cocktails, make your selection of your favorite and enjoy your own. Once we've all cheers'ed and posed with our drinks it's time to take our newfound bar skills home. Must be 21 or older and provide official government identification. Please note that this experience will last 30 minutes. Guests who arrive intoxicated will not be allowed to participate and will not receive a refund. Maximum of six people at one time. There are three things we need from a cocktail – it must be simple, delicious and Instagrammable! 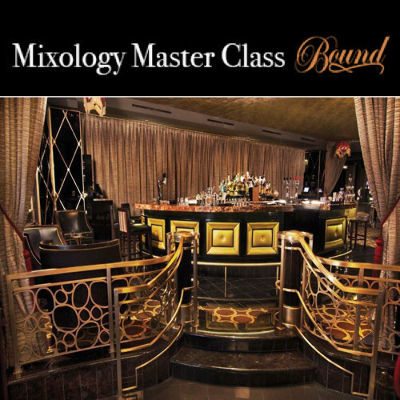 Welcome to the Mixology Master Class at Bound, where our skilled bar staff are sharing some tasty tips on how to create four of Bound's most popular classic cocktails.